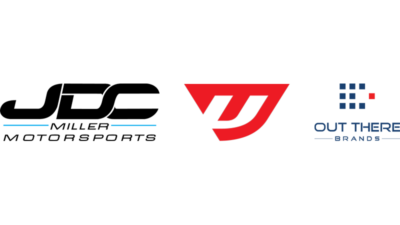 LANSING, Mich. — JDC-Miller Motorsports and the racing team of Michael Johnson and Stephen Simpson have announced an exciting new partnership with two respected brands for the 2019 season – Out There Brands and Unitronic. Taylor, a driver with 16 years of international experience and 100-plus overall podium finishes, will join Michael Johnson and Stephen Simpson in the Universal Coating No. 54 Audi RS3 LMS TCR car for the upcoming 4-hour races at Daytona and Watkins Glen. The team of Johnson, Simpson and Taylor will be back on the track at the end of January, racing in the Rolex 24 at Daytona at Daytona International Speedway in Florida as the first official event of the season for the 2019 Michelin Pilot Challenge. The team’s highly-successful 2018 season included one title-win, four runners-up, two third-place finishes and two fourths. Out There Brands is an advertising company specializing in digital printing and branded marketing displays. It prints logos or advertisements on anything from tents to flags and canopies. Using only the highest-grade labor and parts, Out There Brands provide our customers with products that look great as well as withstand the elements. Unitronic prides itself on providing the highest quality Performance Software & Hardware products, engineered to maximize performance, while maintaining complete OEM-like reliability and drivability from your V.A.G. brand vehicle. Unitronic’s complete catalog of Performance Software and Hardware products are designed to work harmoniously; allowing its Clients to progressively upgrade their vehicle’s performance at their convenience. Mikey Taylor, a native of Pretoria, South Africa, is not only the founder and Chief Operating Officer of Out There Brands, he is a decorated and experienced driver with a background that includes 16 years of international racing and 100-plus overall podium finishes. He won the IMSA Daytona 24 Hour in 2016 as a spotter/coach and has reached the podium multiple times at the Pirelli World Challenge. 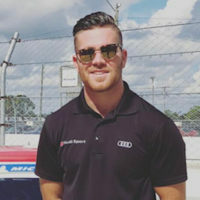 Taylor is the co-founder and driver of the Volkswagen Touring Car program. He holds nine lap records in two different continents.